We all have to go inside sometime, and Bellevue Nursery will help you create inspiring spaces indoors and out. Choose from elegant vases, color-coordinated pots, mirrors, wall tiles, candles and candle-holders, all designed to accent your home or office. 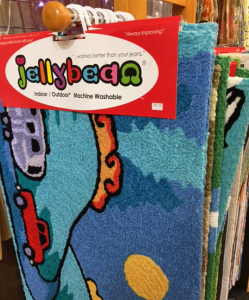 FLOOR ART: Our rooms could use some brightening up any time of the year! These machine washable indoor/outdoor rugs are cheerfully colorful and very easy care. 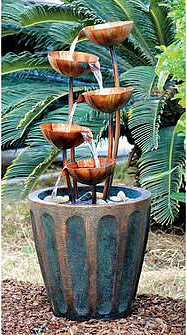 WATER FEATURES: Water has featured prominently in garden designs for thousands of years. No room for a huge pond? A moderately sized fountain will create visually stimulating light and movement, and soothing, splashing, bubbling sounds. Our fountains are also available in table top sizes to add an exciting fresh dimension to any room. GLASS ART has a timeless quality that adds drama to any contemporary or classic setting. Perhaps its because the true beauty of glass is realized in the presence of light that is so cherished by North Westerners. 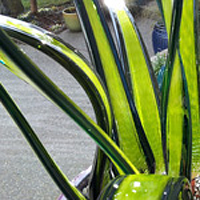 Our handcrafted glass plates and garden sculptures must be seen to be fully appreciated! 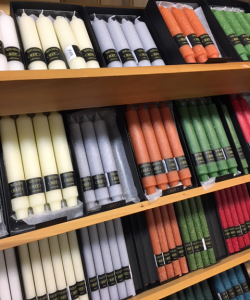 INDOOR LIGHTING: Bellevue Nursery is your best source for Root Candles on the Eastside. Each candle is carefully handcrafted using processes mastered through five generations combined with the latest manufacturing technologies. The results are pure and simple: Beautiful, fragrant, clean-burning candles. METAL WALL ART: Elegant hand-crafted wall art, stakes, rain chains, and mobiles. 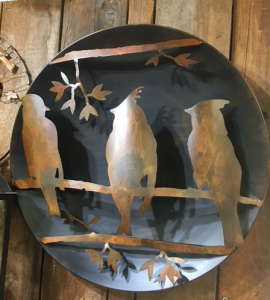 You wouldn’t guess that these beautiful metal and brass products are fashioned from recycled materials. 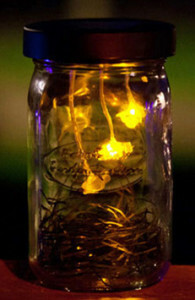 FIREFLY LANTERNS: A modern twist on the classic mason jar filled with fireflies. Once the solar panel has charged, watch the lantern come to life as each firefly light flickers intermittently with a warm glow. The jar can be easily hung or simply placed on a flat surface for your visual enjoyment. We offer new collections of solar light stakes and hanging lights every year to add lightness to your garden and your heart! 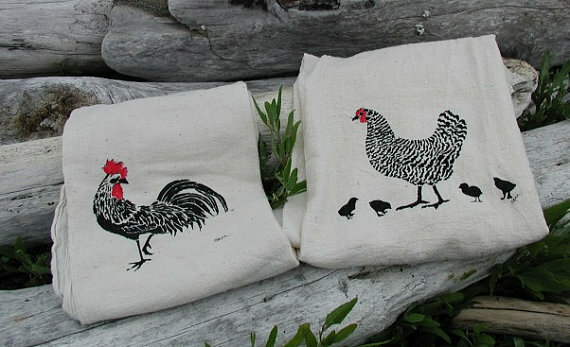 KITCHEN DECOR: Cute and functional locally-made dish towels. Hand painted!